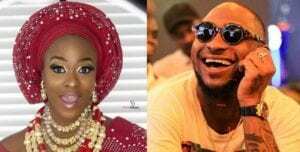 Big Brother Naija star, Uriel Oputa turned a year older yesterday, and she was of course celebrated by friends, family, colleagues and her fans. 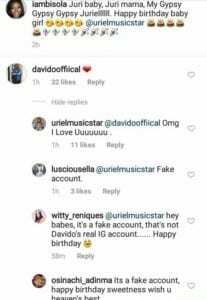 Her colleague, Bisola celebrated her yesterday on Instagram, and while she was probably going through the comments, she saw a comment by an account she felt was Davido’s. The comment simply had the love emoji, and Uriel was quick to reply, “OMG..I Love Uuuuuuu”. Turns out the account was a fake account, and her followers quickly pointed it out for her! She’d be so devastated! Headies Next Rated!! Has Reekado Banks Been Able To Defend His Win Against Kiss Daniel and Lil Kesh?